The Hayloft sleeps up to7 in 3 bedrooms. There is a double bedroomdownstairs with an en-suite with walk in shower. Upstairs there is a large double with king size bed and a further single bed, a twin room with two single beds and another bathroom with bath. The living area is open planned with a fully equipped kitchen with dishwasher and microwave. There is a washing machine and tumble dryer in the laundry room, shared by the 4 barns, and where there is also extra freezer space, tourist information leaflets and space in which bikes etc. can be stored. The lounge area has a freeview TV and DVD player. The Hayloft is tastefully furnished to a high standard retining many of its original features. Downstairs is heated by underfloor heating with radiatorsOutside there is a private patio with garden furniture and shared use of the attractive courtyard, where the gates can be closed to allow children to play safely. The price includes all bedding and towels and use of the indoor heated pool. Our 4 barns, which all have Gold Awards, are set in an attractive courtyard and all have their own private patios with garden furniture. They have been converted from the original old farm buildings and we were keen to keep all the character. We are a family run farm presently rearing Aberdeen Angus for Waitrose and have a flock of sheep. Lambing takes place in April and guests are welcome to be involved in this. They are also welcome to explore the farm and make use of our 2 coarse fishing lakes, or our indoor heated swimming pool. We have 3 very friendly working collies, Fly, Bryn and Skip, farm cats, 2 miniature shetland ponies called Ollie and Berry, and several chickens. The farm is located on the edge of the beautiful New Forest and so ideal for walking, cycling and riding. An ideal base for walking, riding and cycling in the New Forest. Also near Salisbury, Winchester, Portsmouth Historic Dockyards, Beaulieu Motor Museum, Paultons Park ( Peppa Pig World), Mottisfont Abbey and the coast to name a few. We have been farming cattle and sheep at Pyesmead Farm since 1981 and have now been joined by our son Robert. We opened our Bed and Breakfast in 1987 which we have really enjoyed running over the years, and still welcome guests to this day, having made many friends over the years. We converted our old redundant courtyard of farm buildings fairly recently and now have 4 very lovely individual cottages to offer to holiday makers. There are several golf courses, including Wellow and Hamptworth, within a three miles. Outside: The Hayloft, Oak Apple and Apple Pye have their own private patios with garden furniture. Acorns has its own lamend area with garden furniture. All the barns have shared use of the attractive courtyard which has lawned areas. If anyone wishes to have more space to play games then we are happy for them to use designated fields. The hayloft gave our 2 families enough flexibility and space to be really comfortable. The bedrooms had ample storage and everything looked fresh and clean. Staying so close to a pool meant that the children were able to have fun before and after a day out. The owners were friendly and invited us to explore the farm where the five dogs led us on a walk up along a stream and back, as long as we threw enough sticks for them to catch! Although it was a farm, we slept undisturbed from any noise of animals and we didn't have to endure that farmyard smell. Very nice property, could do with a shower upstairs and a bigger garden area at the back but otherwise very nice. Thank you for your review. Unfortunately we were unable to put in a shower upstairs due to the sloping ceiling in the bathroom but did put in an extra large one downstairs. We are planning to extend the garden around the back of the Hayloft by next year and also introducing a large play area. Excellent accommodation in lovely settings on a working farm. Very welcoming farmer as we were able to walk around freelywith hands on sheep cows and ponies. 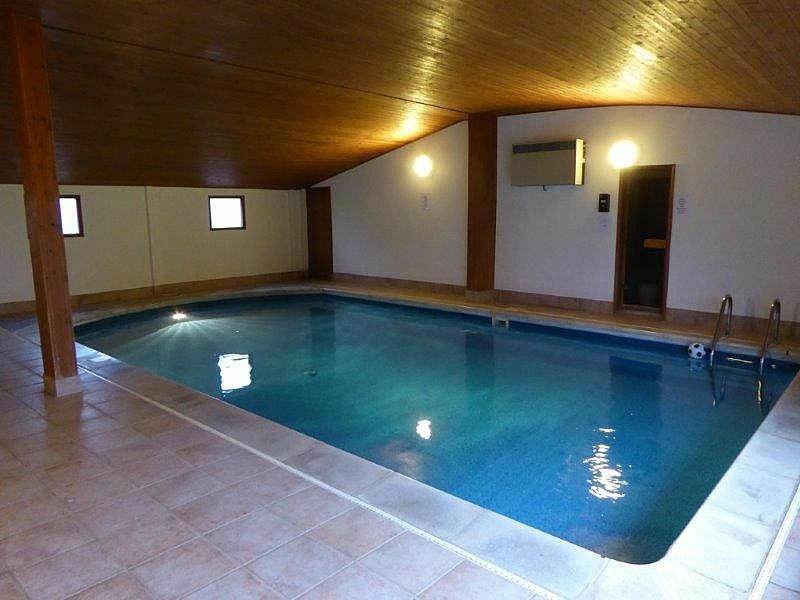 An added bonus was the heated swimming pool which we were able to use anytime with permission from the farmer. The area fantastic with plenty of activities and things to do including the excellent Pepper Pig World expensive but worth the money. Schöne Unterkunft und abwechslungsreicher Urlaub. Die Unterkunft entspricht den Erwartungen an ein Ferienhaus. Das Umfeld „Bauernhof“ ist für Kinder geeignet. Die Region ist abwechslungsreich, die Erreichbarkeit von touristischen Zielen ist gut gegeben und die Bademöglichkeiten und Strände sind im Regelfall in 30 Minuten mit dem Auto gut anzufahren.